If you are getting bored with your monotonous mid length dress throughout summer then it is time for a lace romper. Comfortable enough to carry even on a scorching day, the lace effect will work like magic to enhance your charisma. 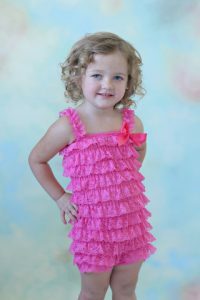 Pick for your little ones and yourself from the attractive shades of pink, red, orange and black. Remember, the dress will be the highlight point, so never overdo with your makeup and keep it simple. 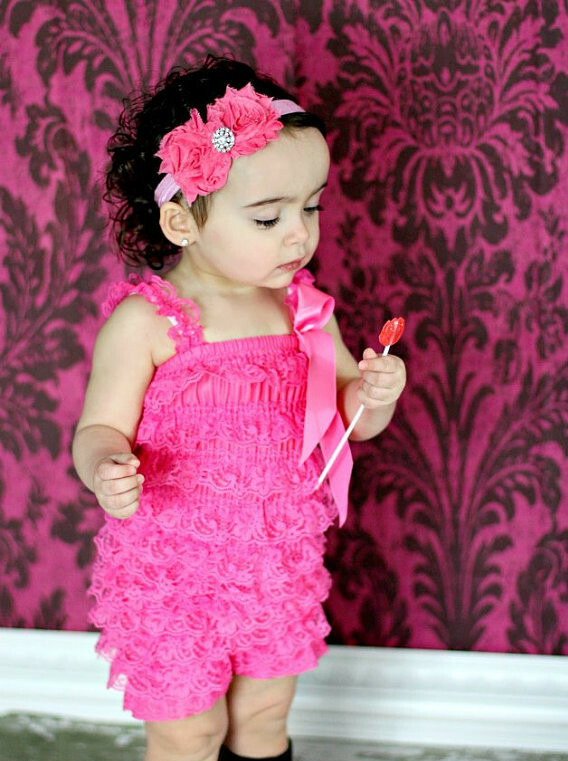 The soft and sweet embrace of a pink lace romper will brighten up your baby’s look anytime. 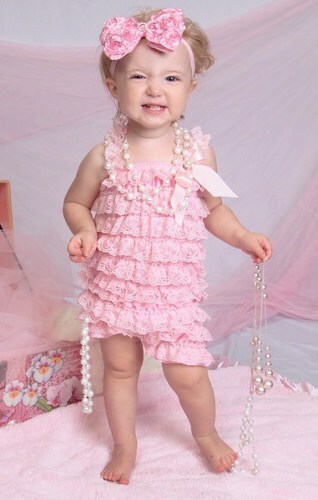 With matching shoes and accessories, let your baby’s smile do the talking. 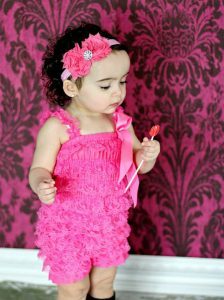 If your girl is following your fashion footprint, then get her a lace romper to make her feel like a younger version of you. Sleeveless and ruffled, this lace romper will be a must in your packing list for your upcoming holiday. For an instant dazzling look, trust a black romper that will be perfect for your curvaceous figure. With ankle length boot and an oversized bag, make a remarkable appearance. Channel your lacy aura amidst your friends with a maroon lace romper. The sheer dress will look good on you if you are comfortable with your skin. Match up with cream colored wedge heels and bags. 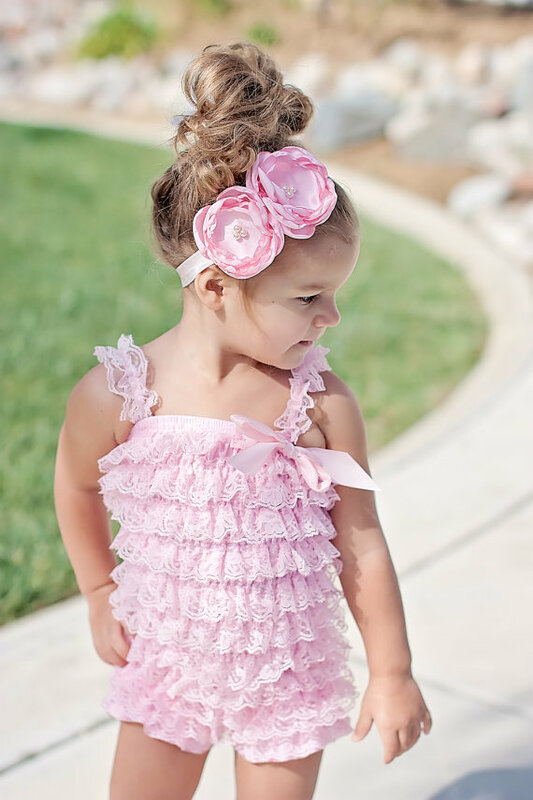 Dress up your girl in an ‘oh-so-pretty’ pink romper for her picnic day with family. Stretchable enough to provide flexible movements, this romper is all your girl needs now. Be a siren in a pale blue lacy romper for your cocktail party. With a silver lariat necklace and wristlet, highlight your slim figure with just the dress. Make sure to wear a compatible footwear for accentuating your look.